QuadrigaCX customers who lost thousands of dollars (and, in some cases, tens or hundreds of thousands of dollars) have probably accepted by now that they will likely never see that money. While many had held out hope that the "lost" coins - purportedly locked in the exchange's cold storage wallets when its founder died unexpectedly, taking the private keys to those wallets to his grave - might be recovered, those hopes were probably dashed earlier this month when the firm's auditor disclosed that it had located the cold storage wallets on the blockchain, and determined that they had been empty since April. Though some unsavory new revelations about the exchange have trickled out in recent weeks (Bloomberg uncovered the criminal past of one of its co-founders who left the exchange long before the hack/heist/whatever purportedly took place), exactly what happened and - more importantly - what authorities are doing about it, remains a mystery. But that hasn't stopped aggrieved customers from sharing their sob stories with any journalist who might listen. We've already heard from the Canadian software engineer who lost his entire life savings - nearly half a million US dollars - when Quadriga collapsed thanks to one ill-timed cross-border transaction. Now, MarketWatch brings us the story of one Toronto-based crypto trader who lost $75,000 when Quadiga went under. Again, according to him, the loss was due to a mis-timed transfer, and an bid price that was probably too good to be true. "I needed the cash so I just looked for the best price and thought this is the best place to sell," said Bill Tsao, a Toronto-based cryptocurrency trader, in an interview with MarketWatch. "It was just over one hundred thousand dollars ($74,800 U.S. dollars) to pay down some mortgage and cover some other personal items." The trader, Bill Tsao, made the sale on Jan. 28, just before Quadriga's website crashed, never to be revived. Tsao sold his bitcoin shortly before 2 a.m. Eastern time on Jan. 28, according to data from blockchain.com. Then, just a few hours later, Quadriga’s website went down - it would never come back online. Initially, the exchange posted a notice saying it was undergoing routine maintenance. But soon, reports about the founder's death and the exchange's bankruptcy filing appeared in the press. 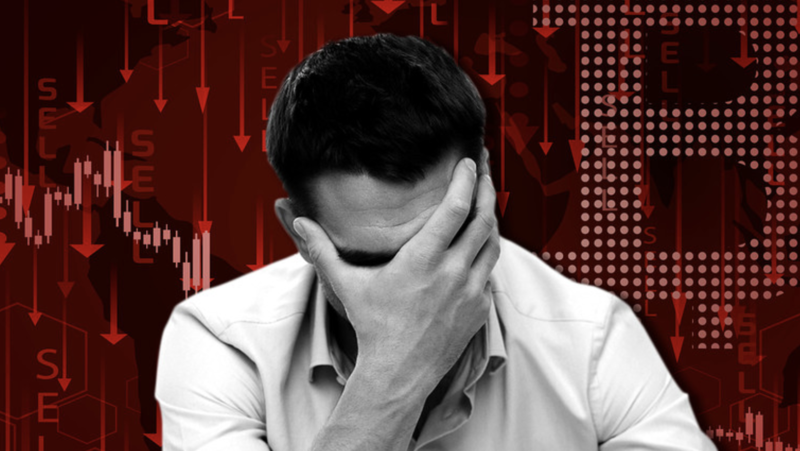 Tsao, who started trading bitcoin in mid-2017 when one coin was trading at around $4,000, said that he has lost "millions" trading crypto. But the money he sunk into Quadriga stings the most - because he should have known better. Tsao said he is down “millions” trading cryptocurrency, but this loss is the most frustrating. “Right now I can’t do anything until the investigation is over. I have sent emails, filled out tickets but I have got nothing back." However, there was a red flag that Tsao said he missed: The price of bitcoin on the Quadriga exchange was trading at a near $600 premium, what some view as a sign that an exchange has liquidity issues. "All I wanted was the best price," he said. "I felt so stupid not really looking into the site further before I [did] that." It was an expensive lesson. But hopefully other crypto traders can learn from Tsao's mistake: If a price quote looks too good to be true, it probably is.